Here is another old review I wrote up, this one was fun because I got to write the review for Greg Pak. Details below. I’ll add some commentary in italics like I’ve been doing. 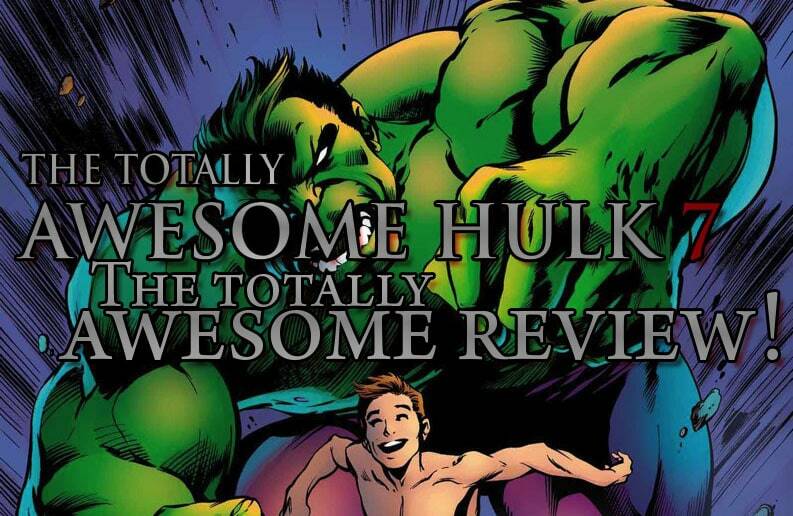 Totally Awesome Hulk is a fun read, I’ll just say that up top. I sat down, pulled it up on my phone and started reading. I got about two pages in then this guy rolls up in his wheelchair and starts talking to me. Now, I’m not one to talk to people out in public, but I’m also not one to be rude to someone who wants to talk to me. Well, after a few incoherent sentences I realized it was going to be difficult to finish reading this issue. I kept trying through. I wont go into to much detail about the interaction because I want to keep this to the review, but I did draw a comic on my Instagram talking about it. You can see it to the right if you want to. As I mentioned before that my biggest fear for this issue and the review was that it’s issue 7 in a series I have not read. Luckily this issue appears to be a GREAT jumping on point. It does a great job explaining what happened without wasting time. Based on what I know of the series going in it’s based around Amadeus Cho, who is the Totally Awesome Hulk and Bruce Banner has been missing. This series is centered on Cho and his take on the Hulk, which is much less angry that Bruce Banner’s hulk and way more cocky. However, this issue is all about Bruce Banner and more told from his perspective and how he is dealing with coming to grasp with no longer having the Hulk inside him. I don’t want to give you a beat by beat playback of the book, because you should just pick it up yourself and read it. I will give you some high points I really liked. I would love to read and review more comics. I just wish there was more time in the day. Greg Pak is a great writer, and in general I have enjoyed the mass majority of the things he has produced.